Sonoma-Cutrer has been producing the finest quality wines since it opened as a vineyard company in 1973. 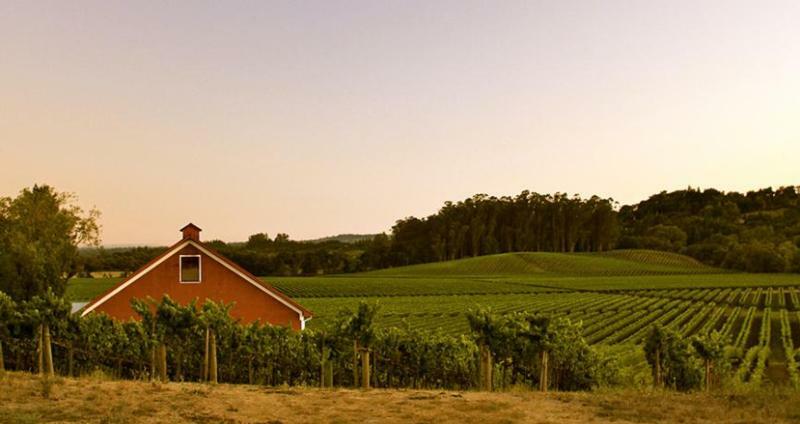 Its foundation is built in the hillsides and rocky foothills in the region recognized as the Sonoma Coast Appellation – this region experiences long, even growing seasons thanks to the cool, foggy coastal climate. In the 70's, the company planted several different grape varieties and virtually overnight Sonoma-Cutrer's Chardonnay grapes had gained a reputation for exceptional quality and were in high demand by many premium wineries. Discussions about creating a cutting-edge winery began, and Sonoma-Cutrer gathered a crew of wine experts including Terrence Clancy, Brad Web, Bill Bonetti, Robert Haas, David Reid and Chuck Bennett. Under the guidance of these experts, Sonoma-Cutrer made Chardonnay its main focus, and it was to be made exclusively from Sonoma-Cutrer's own vineyards. In 1981, ground was broken for the new winery. Today, Sonoma-Cutrer's flagship wine, Russian River Ranches, is the most requested Chardonnay in America's finest restaurants according to the annual Wine & Spirits Restaurant Poll, April 2013 (22 of the last 24 years). For wine consumers, the name Sonoma-Cutrer is synonymous with superb Chardonnay.